Located in the heart of London, King’s College London and our associated NHS partner hospitals provide a vibrant and globally renowned biomedical research community. Our integrated and multi-disciplinary approach to medical research offers a wealth of cutting edge training opportunities in fundamental discovery science, translational research and experimental medicine. Our students undertake projects drawn from across all our Health Faculties in areas as diverse as: structural biology, stem cells, cancer, HIV/AIDS, mental health, population genetics and bioinformatics, therapeutic development, as well as interventional clinical trials. The cohort-focused philosophy of our programme ensures that our graduates experience the full diversity of our scientific endeavour, learn how to collaborate, communicate and think creatively, and leave King’s equipped to tackle key biomedical challenges in a rapidly changing world. 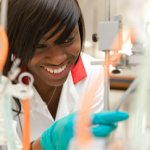 We are committed to the development of the next generation of biomedical scientists and research leaders. The close partnerships of King’s College London with outstanding Hospitals, Guy’s & St Thomas’ NHS Foundation Trust, King’s College Hospital NHS Foundation Trust, and South London and Maudsley NHS Foundation Trust, will ensure all students benefit from an understanding of the wider context of biomedical research, and produce scientists with a strong translational ethos. Build a wider community of students that extends beyond the DTP through shared training and research activities. The DTP has its roots in the King’s Bioscience Institute (KBI) managed four-year Guy’s & St Thomas’ Charity Prize MRes/PhD Programme in Biomedical and Translational Science. This training programme was conceived and developed by Profs Michael Malim and Simon Howell in partnership with the GSTT Charity, and admitted its first students in 2012. All students registered for a first year MRes prior to committing to a lab for their PhD research at the beginning of the second year. A unique feature of the programme was the requirement for dual supervision by one clinician-scientist and one non-clinical scientist, thereby emphasising the value of integrating discovery and applied research, a perspective that is sometimes called Bench-to-Bedside. Importantly, the programme’s general approach was embraced by others, such that PhD students sponsored by the GSTT Biomedical Research Centre (BRC) and MRC Centre for Transplantation were also enrolled. 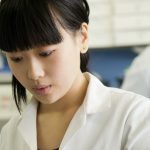 When the MRC announced in 2015 that its sponsorship of non-clinical PhD training would be provided via co-ordinated programmes involving one or more institutions, we adopted the platform established by the KBI programme as the basis for our application for a Doctoral Training Partnership (DTP) in Biomedical Sciences. We were awarded funding for twelve studentships per year, that together with support from our Health Faculties, the Centre for Doctoral Studies and the GSTT Charity for a further eighteen posts, enabled us to appoint thirty students in 2016 as our initial cohort. Our DTP continues to adopt an inclusive strategy for developing and delivering high quality and innovative graduate training, further details of which are provided throughout this website. King’s College London is a world-leading university. Rated among the world’s top 21 universities, King’s is ranked sixth in the UK for the quality and quantity of it’s research activity and 11th in the world for its international performance and outlook. Since its foundation in 1829 King’s has defined itself in term of it’s service to society, and it now has some 30,000 students and more than 8,000 staff members dedicated to making the world a better place. King’s uses its location in the heart of London to form and lead international conversation in policy, government, law, culture, religion, medicine and business.